Your book club may win a visit from author J.J. Lee, 2012 BC Book Prize finalist. Photo courtesy of BC Book Prizes. There’s never been a better time to join the West Coast Book Prize Society. Until the end of the year, every new and renewing member will receive a mystery book (it could be an art book, a cookbook, or even a signed first edition!) worth $20 or more in a canvas book bag. You’ll also be entered to win an exciting grand prize (even more books!). With the holidays upon us, a book prize membership could make a wonderful gift for the book lover in your life. Here’s an offer your club might enjoy. If every member of your book club becomes a member of the West Coast Book Prize Society, you’ll all receive a mystery book and be entered to win the grand prize. 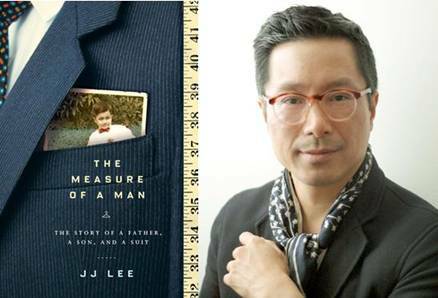 Your book club may also win an author visit from 2012 BC Book Prize finalist J.J. Lee plus copies of his book The Measure of a Man. To become a member, mail in your membership form and a $20 cheque payable to BC Book Prizes, or bring them to our office and pick up your mystery book on the spot.